I seriously couldn’t believe all the benefits of dry brushing I discovered after two short weeks of incorporating it into my self care routine. Personally, I started dry brushing as part of my Sakara Life Level II Detox protocol in May. At first, the brushing movement hurt my skin so much, no matter how gently I went about it. After about three times, I quickly started to look forward to my time spent dry brushing. If you’ve ever been interested in an organic and plant-based meal delivery service or cleanse program, check out my Sakara Life Review. As someone who has lived with keratosis pilaris for over 15 years, I’ve struggled to find solutions – cutting back on gluten, harsh body washes, and chemical lotions – to clear up those annoying red bumps on my arms. Never did I ever think that dry brushing would be the solution I was searching for all along. Aside from the incredible (and fast) benefits I discovered from dry brushing for my Keratosis Pilaris, there are countless more benefits that you can receive from regular dry brushing. Of course, the effectiveness of dry brushing depends on what you’re using it for. Rest assured, if you’re looking to improve your skin (hello, smaller pores) or support the elimination of toxins from your body, you’ll surely see results. Also, not to mention, the exfoliating process (that’s what helps my Keratosis Pilaris) of dry brushing leaves your skin feeling softer and smoother, and is great for pesky ingrown hairs. Additionally, dry brushing can help to improve your circulation which can then increase your energy, as well as help the body break down toxins stored within your fat. Hence why one of the benefits of dry brushing is the decrease in cellulite. Personally, I’ve been using doTERRA’s metabolic blend after my dry brushing sessions and have seen a major improvement in my pesky back-of-thigh cellulite. Honestly, even though I didn’t enjoy it at first, I really think dry brushing is my new favorite part of my self care routine. I’ve discovered that it has so many benefits – overall wellness and beauty included. The technique for dry brushing is pretty simple and takes just a few minutes each day. First, select which dry brush you’d like to use. Check out some different options below! Personally, I started with something similar to the Touch Me Looped dry brush and then switched to the Prana Brush dry brush because of the added benefits of the copper bristles. Whichever dry brush you pick, make sure to pick one with natural bristles and consider if you’d like a short or long handle. Longer handles make it easier to get your back and the backs of your legs, but I prefer the non-handle brushes because I feel like I have more control. After you’ve selected your dry brush, you’re ready to get started! It’s that simple. I recommend taking 3-5 minutes every morning and/or evening to dry brush before hopping in the shower. I wouldn’t suggest getting your dry brush wet, as the natural fibers could be prone to mold over time. Some people like to dry brush while standing in the shower (with the water off), as you’ll see some dead skin flying around your bathroom, especially the first few times you do it. Once you’ve found your dry brushing spot, simply take the brush and brush gently along your skin towards your heart center in long and even strokes. Take special care to get your back, the backs of your legs, stomach (use circular motions here to encourage digestion), and even your toes! I’ve also found that small circular motions on pesky cellulite-prone areas helps to break down the fat stored there and has decreased the appearance of mine over time. Also, unless you have a special facial dry brush, I wouldn’t recommend using your regular dry brush on your face as the skin is so sensitive and delicate the exfoliation process might be a bit too abrasive. After you’ve successfully covered your entire body, hop in the shower to rinse off all the dead skin cells. Dry brushing is a beautiful self care practice, one that encourages you to slow down and connect with your body. After just a few times doing this practice, I would myself craving the routine every morning and night. It’s like my body instantly knew how beneficial dry brushing was and wanted more and more and more. I’ve since created a self care routine around the practice of dry brushing. Since I tend to take a full shower at night, I will just do a quick cool rinse in the morning after my AM session. The cool water, paired with the dry brushing, encourages my lymphatic system to start working and I instantly feel more energized. After my quick rinse off, I layer on my favorite Herbivore body oil (I love both Jasmine and Coconut) and continue my regular daily self care routine. In the evening I dry brush as usual, making sure to pay extra attention to my stomach, mostly because it feels so good and the gentle circular motions aid with digestion. Then, I take my shower and use my Clarisonic and doTERRA’s facial cleanser to gently exfoliate my face. After that, it’s time to layer on more body oil and get ready for bed. Adding in this simple practice has not only changed the way I physically look, but it’s also given me one more moment throughout my busy day that I have to myself. There truly is something so relaxing and rewarding about an extra ten minutes to nourish and do something good for yourself. 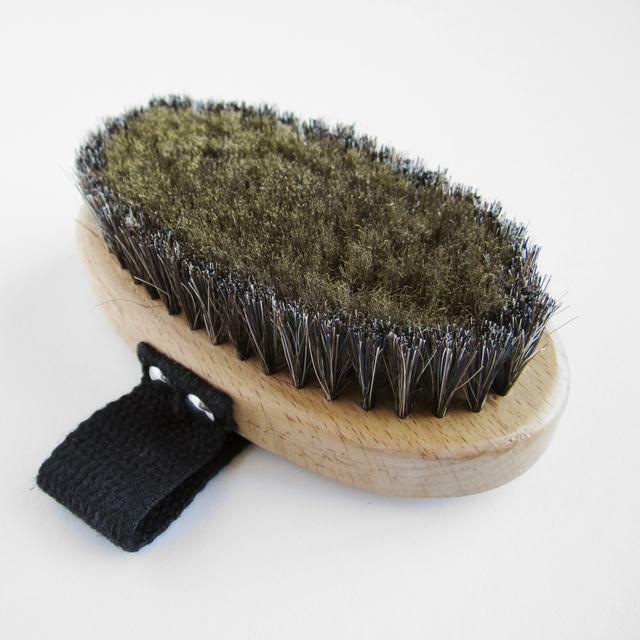 Think you may know more benefits of dry brushing? Feel free to comment them below and let me know what you think!